Moles are tiny tumors that are pigmented differently than your skin. 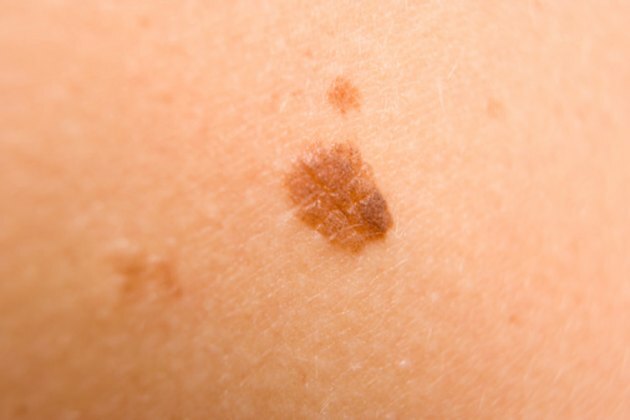 While most moles are benign, it is possible for them to be signs of melanoma so consult your doctor or physician if you ever have a mole that you are suspicious of. A years-old home remedy is removing the mole with apple cider vinegar. The apple cider vinegar is high in potassium and will help the mole shrivel and eventually flake away. Apple cider vinegar is a popular home remedy for mole removal. Soak a cotton ball with some apple cider vinegar. Squeeze out excess fluid until dripping ceases. Place the cotton ball over the mole and hold in place by sticking a band aid over it. Keep the cotton ball in place. Replace after each bathing session. When you remove the bandage, study the mole to observe the progress. Stop using the apple cider vinegar soaked cotton balls when the mole has shrunken and flaked off.